"This is the 2nd time I have stayed in this traditional, char..."
Have a question for Hotel America? 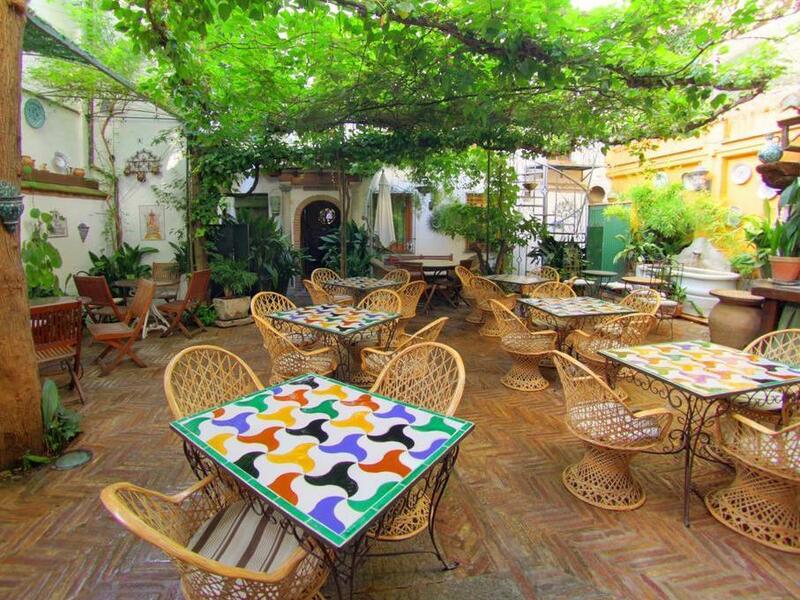 "A wonderful hotel to explore Granada and the Alhambra from." Offering quality accommodations in the restaurants, culture, sightseeing district of Granada, Hotel America is a popular pick for both business and leisure travelers. Situated only 3.0 Km from the city center, guests are well located to enjoy the town's attractions and activities. For sightseeing options and local attractions, one need not look far as the hotel enjoys close proximity to The Alhambra, La Alhambra y el Generalife Monument, Fine Arts Museum of Granada. Hotel America offers impeccable service and all the essential amenities to invigorate travelers. The hotel provides free Wi-Fi in all rooms, facilities for disabled guests, luggage storage, Wi-Fi in public areas, valet parking to ensure our guests the greatest comfort. The ambiance of Hotel America is reflected in every guestroom. internet access – wireless, non smoking rooms, air conditioning, heating, desk are just some of the facilities that can be found throughout the property. Whether you're a fitness enthusiast or are just looking for a way to unwind after a hard day, you will be entertained by top-class recreational facilities such as garden. Enjoy unparalleled services and a truly prestigious address at the Hotel America. "Standard room is comfortable with a modern bathroom." Its a beauteful place, in de middel of the Alhambra. Good for 2 night. This is the 2nd time I have stayed in this traditional, charming hotel. It's location is stunning, the staff very friendly and helpful and the courtyard area a wonderful spot for breakfast or lunch or glass of wine. Standard room is comfortable with a modern bathroom. 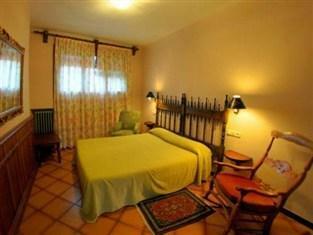 A wonderful hotel to explore Granada and the Alhambra from. We had only one night in Granada, arriving late evening. Very fortunate to be upgraded to a large room as the reviews all pointed to small dark room as the only negative. We had time to explore the Alhambra at night without the crowd before going over to the Paradore opposite for a nice dinner. A wonderful experience! Fab atmosphere in the most Devine location. You must visit. Hotel America is one of only two hotels located inside Alhambra, which is its boon and bane. It's good to be inside the complex so that you can be ahead of everyone else, since Alhambra can get really really crowded. However, most of the action is concentrated in the Albayzin district. Hence, it can be difficult to go uphill every time you need to go back to the hotel. Hotel America is a family run B&B. It has its rustic charm. There's no lift and the hotel staff didn't even bother to help us with our luggage. Breakfast is not bad, but I think they can do better. If you really need to stay inside Alhambra, you might as well book Hotel America (which is a lot cheaper than the other hotel inside the complex). But if you decide to stay somewhere in the Albayzin district, that's a much better option. The staff, the location, and the public spaces were all fantastic. We felt like we were staying with family at this hotel- the staff teased us, charmed us, and generally looked out for us like a bunch of genial uncles and aunties. They made sure our stay was comfortable and we got to the Alhambra on time, and then they graciously hosted us in the sitting room until it was time to say goodbye. I cannot recommend them more, and the place is cozy and the setting is fairy tale. This hotel is a treasure for Alhambra-philes! Superb location. Helpful / friendly staff. Reasonable price. Have your hotel receipt handy when driving onto the location, drop off luggage and then park in tourist lot outside the park. Upon leaving show your hotel receipt to the ticket window for reduced parking rate. Ate lunch and simple breakfast at the hotel and had dinner at the parador a few yards away. Only stayed one night since we came for the Alhambra on our three week road trip around Spain. Sing kr roo. At 1st floor, views the garden restaurant, but in the morning can be noise. Staff helpful, but too many customers for 1 to 2 staff only. Love the went to next door restaurant for dinner it was great! 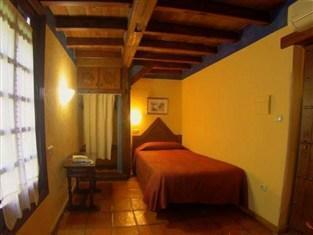 The Hotel America is a small hotel, situated within the Alhambra itself. It is, therefore, in a prime location for visiting one of the wonders of the world. While right next door to Spain's top hotel (also within the Alhambra), the Hotel America manages not to be completely overshadowed. 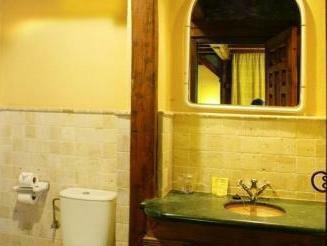 It has an old-world charm and feels like staying in someone's house. Compared to all the same-y, anodyne hotels I have stayed in recently, the Hotel America made me remember how a good hotel can add to a trip. The room I booked was on the second floor and looked out over the beautiful garden patio/dining area. The bedroom was far from huge, but thoughfully decorated and furnished. The bed was hardly top-notch, but still more comfortable than the over-hard beds with too many bedcl have slept in elsewhere. The bathroom was clean, although the shower head did not work very well. Overall, however, the ambience is enough to overcome these minor flaws and I would highly recommend the hotel! Hotel America is the only affordable option within the Alhambra complex and located right beside Spain's most expensive parador. The staff was lovely and my room and the hotel in general were charming, and I felt like I was staying with a favorite Spanish aunt in her old home right beside the Alhambra. The location is perfect and I went to my room directly from the Alhambra night tour while others queued for taxis, and woke up early to go around in the morning before the tour groups arrived. I could also take a long walk down a lovely tree-lined driveway to Plaza Nueva and then the Albayzin. Very memorable stay! Emplacement de l'hotel genial(probleme de parking avec les nouvelles deviations!!) Patio , salon et salle du petit dejeuner decore superbement été ambiance tres sympa ! Le personnel est d'une enorme simplicite et d'une remarquable gentillesse !!!! On a vraiment envie d'y revenir et on passera l'adresse a des amis ;c'est d'ailleurs ce qui s'est passe pour nous !! !